Did you know that two of the greatest NCAA Division 1 distance coaches of all time grew up in Thurston County? Dave Smith is a graduate of Tumwater High School in Tumwater, Washington. Rob Conner is a graduate of Timberline High School in Lacey. Both are incredible college running coaches. 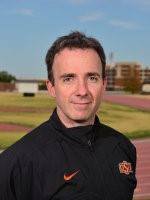 Dave has coached three NCAA Division 1 national cross country championships at Oklahoma State University. In addition, Dave has won the NCAA Division 1 cross country coach of the year three times. This is the highest honor for a Division 1 coach. Moreover, Dave is still the fastest high school 1600-meter runner in Thurston County history. Rob Conner is the coach at the University of Portland. The University of Portland finished second in the NCAA Division 1 cross country championships one year behind Northern Arizona University of Flagstaff, Arizona. 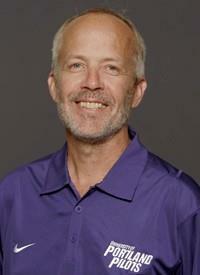 Rob has guided the Pilots to 18 Division 1 national cross country appearances. Virtually every year, the University of Portland is ranked in the top 20 Division 1 cross country programs in the nation. In addition, Rob has also won multiple conference coach of the year awards. Rob was a standout 1600 and 3200-meter runner at Timberline High School in Lacey, Washington. Rob grew up about 2 miles from my home. Smith and Conner lived roughly five miles from each other in Thurston County during their youth. I know both Dave and Rob and have followed their careers. Both have worked super hard to build their programs. They have success year in and year out in their programs. One of the reasons why I am writing the running history of our area is to highlight the many accomplishments of our running community that many people have forgotten or just don't know. Dave and Rob are part of our incredible running legacy. From great coaches to hosting the first ever U.S. Olympic Marathon Trials for women, the people of Thurston County have led the way in some key areas of distance running and endurance events in the United States. Rob is in the top picture. Dave is in the picture just below Rob.